Results from the on-farm trials coordinated by Dan Schaefer of the IFCA and funded in part by the Illinois Nutrient Research & Education Council (NREC) showed that at about two-thirds of Illinois sites in 2018, the N rate needed to maximize the dollar return to N was higher than we have typically seen. 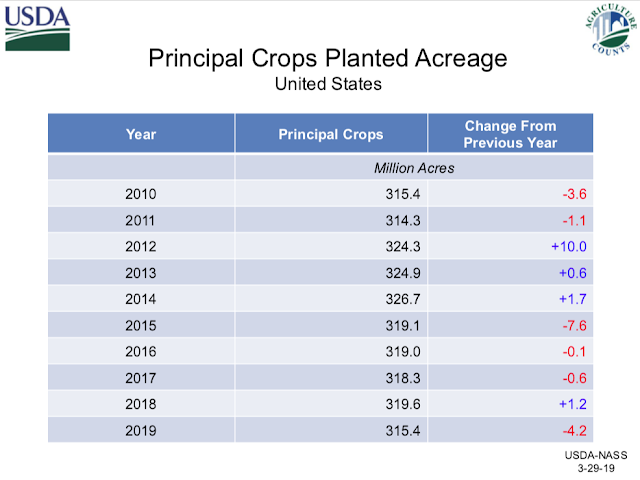 We think that the slow start to mineralization during the cool weather in April 2018 might have meant more dependence on fertilizer N. Yields were also higher than we’ve usually found, which meant that the crop took up more N than usual. Adding the 2018 data to the database used by the N rate calculator to calculate best (MRTN) rates for N in Illinois, and taking out some older data, resulted in an increase in the MRTN values compared to the previous (2018) version for corn following soybean. With N priced at $615 per ton of anhydrous ammonia ($0.375 per lb of N) and corn at $3.75 per bushel, the calculator gives MRTN rates for corn following soybean of 166, 180, and 192 lb N per acre for northern, central, and southern Illinois. 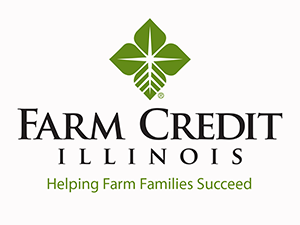 These rates are 11 lb higher than the 2018 rates in northern and southern Illinois, and 5 lb higher in central Illinois. Those are modest changes because the 2018 data is added to a lot of existing data, but they illustrate how generating and adding new data keeps the guideline N rates responsive to research-based changes. MRTN values for corn following corn did not change very much, in part because there weren’t as many trials in 2018, and in part because trials over the over the past several years have shown that corn following corn has required less fertilizer N than we found in many previous trials. It’s not clear why that is the case, but as we found with corn following corn, rates are responding to research findings to stay linked to what today’s corn crop needs. Remember that the MRTN rates (and ranges) generated by the N rate calculator include all of the N that gets applied, not just to the main application. A 3-year, NREC-funded trial at two sites that we finished in 2018 showed that N rates from DAP applied in either the fall or in the spring produced the same yield response to N as spring-applied UAN. This means that we should be able to take full credit for N from MAP or DAP, providing these are applied after soils cool in the fall (about November 1 or later) or any time before planting in the spring. If these P fertilizers are applied before soils cool in the fall, some of the ammonium will convert to nitrate and be subject to loss. It’s reasonable to subtract maybe 20 to 30% of the N from P fertilizers that are applied in early October, before soils start to cool down. In about 90 percent of on-farm trials comparing N rates applied as ammonia in both the fall (with N-Serve) and the spring, we have found little or no difference in yield responses to N rate. That’s been the case in our N-tracking trials as well: we generally find nearly all of the fall-applied N still present in the soil at planting (although most of it is usually in the nitrate form by then), and we have rarely found a yield advantage to applying 200 lb N in the spring compared to 200 lb N in the fall. Tile-drainage studies do show a little more N loss from fall-applied compared to spring-applied N, though, and we have found in a few cases either higher yields with spring-applied N or similar yields produced with lower rates of spring-applied N.
We have also found in a few trials the opposite—that fall-applied N can sometimes give higher yields or need less N to produce the same yield as spring-applied N. This is more likely when N rates needed to maximize the return to N are not unusually high, and when spring-applied N is applied at or after planting, with some delay in how soon the crop’s roots can reach the application band to start taking up N. That is, having the N dispersed in the soil after application under better (drier) soil conditions in the fall may sometimes be an advantage compared to application into wetter soils in the spring. 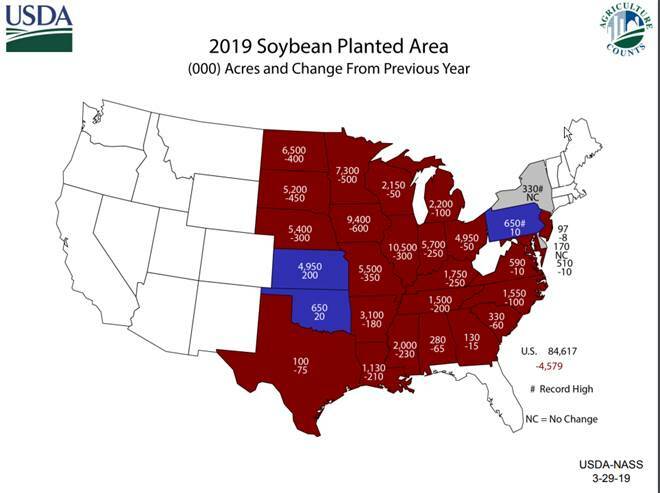 Wet fall weather like we had in 2018 likely means less chance of seeing such an advantage in 2019. We did not get many trials established last fall to make the comparison. 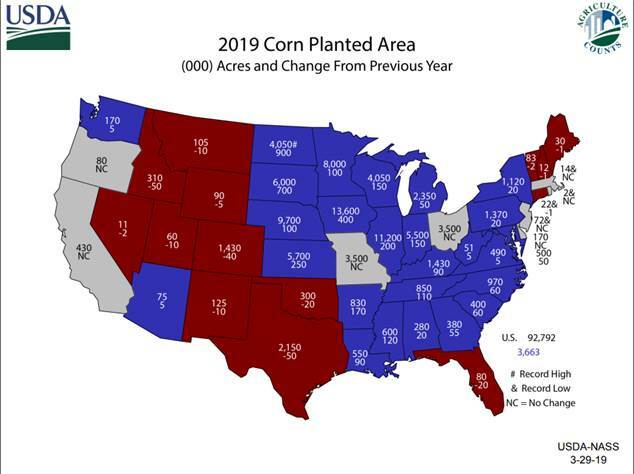 There is no reason to expect that the delay in N application in most Illinois fields so far this season will lower yield potential, but it will be important to keep a couple of things in mind as the planting season approaches. The main lesson we’ve learned from our N timing and N form studies over the past five years is that corn plants need to have a substantial amount of N available in the soil near the row after plants emerge and before their nodal (main) root system starts to develop. Table 1 shows yield averages from 15 site-years over the past four years (2015-2018) at four Illinois sites where corn followed soybean. 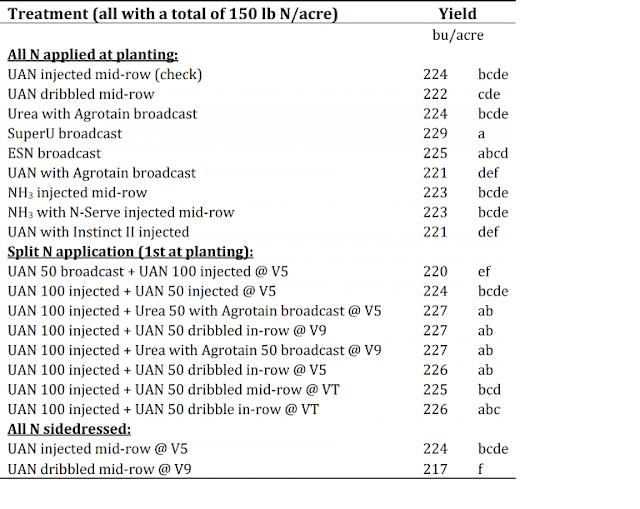 The highest yields (those followed by an “a”) all came from treatments with 100 or 150 lb of N applied at planting, and applied in a way that we think made N available to the plants soon after emergence. Among the treatments with all 150 lb N applied at planting, broadcast SuperU (urea with both urease and nitrification inhibitors incorporated) and ESN (polymer-coated urea with extended release) produced the highest yields. Those that included N applied between the rows—especially NH3 with or without N-Serve, which would have been accessible to the roots only once the roots grew out to the band, yielded a little less. Adding nitrapyrin (Instinct) to UAN injected between the rows lowered yield a little, and those that had UAN surfaced-applied all yielded less: these may have lost some N or the N might have moved too slowly from the surface to the root zone to maximize yield. Treatments with 150 lb N split into 100 lb at planting and 50 lb applied in-season generally yielded a little more than applying all of the N between the rows at planting (Table 1.) Applying 50 lb N as broadcast UAN at planting (to mimic the use of UAN as herbicide carrier at or after planting) then 100 lb as UAN injected at stage V5 did not yield very well, possibly because some of the N might have been lost, but more likely because there wasn’t enough N near the root system when it was needed, before sidedress. Otherwise, most of the treatments with 100 lb injected at planting followed by 50 lb as urea with Agrotain broadcast at V5 or V9, or as UAN dribbled in-row at V5, V9, or at tassel (VT) stage did well. Waiting until V9 and dribbling all 150 lb N as UAN at V9 was the lowest-yielding treatment, likely due to development of N deficiency (whether visible or not) that lowered yield potential in earlier stages. Injecting all of the N mid-row at V5 yielded as well as injecting 100 lb at planting and 50 at V5, which is counter to the idea that the crop needs more N early. We don’t know the reason for this. Table 1. Corn yields with different forms and timing of 150 lb N/acre in corn following soybean. Data are averaged over 15 sites, with 3 or 4 sites per years for 4 years, 2015-2018. Averages followed by the same letter are not significantly different at the 10% (error) level. Another piece of evidence that the crop needs a good supply of N relatively early to avoid lowering yield potential comes from a part of the same N form and timing study reported in Table 1. Averaged across 18 site-years, applying 100 lb N at planting yielded 13 bushels more (214 versus 201) than applying 50 lb at planting plus 50 lb (as injected UAN) at sidedress, stage V5-6. At rates of 150 and 200 lb N/acre, applying 50 lb at planting then the rest at sidedress yielded about 3 bushels less than applying all of the N at planting. At the 200-lb rate, applying all of the N early yielded significantly more than the 50+150 split at two sites, and the split N yielded significantly more than the all-early application at one site. In another set of trials, 200 lb N as fall-applied ammonia with N-Serve yielded an average of 5 bushels more than 50 lb N as injected UAN at planting followed by 150 lb N as injected UAN at sidedress. The 50-150 split-sidedress treatment yielded more than fall-applied N at most sites in 2015, when June was very wet, but the 50-150 split yielded less than fall-applied N at most sites in both 2017 and 2018. This shows that applying some of the N at sidedress can bring yields up close to those from all-early application of the same rate, but keeping back most of the N to apply in-season is more likely to decrease yields than to increase yield compared to applying all of the N before planting, including in the fall. If we do sidedress, we need to apply at least half of the N where the roots of small plants can get access to it in order to prevent early-season deficiency that can result in lower yields. We also noted that when we get really wet soil conditions in June after the crop has started to grow, like we had in 2015, split-sidedress N can outperform all-early N. Under these conditions, the crop may well need more N than we have (or would have) applied. In order to respond to added N under wet conditions, the crop needs to have its root system active, which won’t be the case if it’s still standing in water or saturated soils. Also, if the lower leaves have started to die off, the plant may not be able to take up and utilize added N. Even then, a period with the roots under low oxygen conditions may not yield fully, even if soil conditions improve. It’s important to get supplemental N applied as soon as possible so that the crop can take it up as soon as it’s able. Dropping urea (perhaps with urease inhibitor) from the air is expensive, but might be in order, especially if a planned sidedress application wasn’t made before it got wet. Different forms of N fertilizer need to be applied in a way that assures crop safety and maximizes the chance that the N will be available to the crop when the crop needs it. Anhydrous ammonia is usually the N source with the lowest cost (per pound of N) and at 82% N, using ammonia means less volume to store and transport. But it requires injection to depth in the soil, and so is more costly to apply. It also needs to be handled very carefully to prevent accidental release into the air. Once in the soil, it spreads (in soils not too dry or too wet) several inches out onto the soil and, by desiccating soil microbes, it limits microbial activity that converts ammonium to nitrate; that is, ammonia partially sterilizes the soil, in the process limiting its own conversion to nitrate for a period of time. Conversion to nitrate makes N mobile in the soil, and nitrate is subject to loss by leaching and denitrification. This isn’t permanent: these microbes grow back quickly in the presence of so much N, and eventually reach levels higher than before the ammonia was applied. We normally use a nitrification inhibitor such as N-Serve or CENTURO (new from Koch Agronomic Services) when applying ammonia in the fall. The later we apply ammonia in the spring the less likely it is that a nitrification inhibitor will be needed to help keep N in the (immobile) ammonium form, and thus in rooting zone. As a biological process, nitrification is slow in cool soils, which usually means it’s slow through most of March. Illinois State Water Survey data show that at Bondville, just west of Champaign, 4-inch bare soil temperatures have been in the low 40s for the past two weeks. On average over the past five years, 4-inch soil temperatures have reached and then stayed above 50 degrees by about April 14 at this site, and it’s averaged about May 10 before soil temperature reaches and stays above 60. Nitrification is slow when temperatures are in the 50s, and begins to speed up once soil temperatures reach 60 and above. If we are able to plant more or less on time this year so that N uptake begins to accelerate in late May, and if we add in the effect of the NH3 itself in suppressing microbial activity, it’s unlikely that applications of ammonia made after April 1 will need the further delay in nitrification provided by nitrification inhibitor. Because cool soils are slow to dry, applications of ammonia in the spring are usually done when soils are wetter than ideal. That doesn’t mean we should abandon this form of N, but applying it on wet soils means more soil compaction, and with the diameter of the ammonia band very small when application is into wet soil, its concentration is high. If the soil dries out after application, there is some danger than NH3 will begin to move up in the soil, and may damage seeds or roots. Using RTK to apply the band 6 to 8 inches away from where the row will be planted can eliminate such damage, but that means applying in the direction of the rows instead of on an angle. Tilling after ammonia application can also help disperse the band and will usually lower or eliminate the risk of ammonia injury on seedlings. Dry urea has the advantage of being quick and easy to broadcast-apply with flotation equipment, and has the additional advantage of being safe to apply after crop emergence. If spread on the soil surface and worked in with a tillage pass before planting, it is relatively safe from loss by volatilization, which is breakdown into carbon dioxide and ammonia, which can be lost to the air. If surface-applied without incorporation, using a urease inhibitor will help decrease volatilization. Getting a half inch or more of rain will move most of the urea into the soil, where any volatilized ammonia will be quickly dissolved in soil water. Urea doesn’t “self-sterilize” the soil to limit nitrification like ammonia does, though, so with warm surface soil temperatures, nitrification will begin soon after the urea is dissolved and in the soil (as ammonium). In the results in Table 1, SuperU (from Koch), which has both urease and nitrification inhibitors, produced the highest yields of any of the forms and application methods used in that study. Urea with the urease inhibitor Agrotain yielded 5 bushels less, presumably because of some loss (or movement below the root zone) of N following nitrification; urease inhibitor has no effect on the nitrification process once the N is on the ammonium form. Application methods are discussed several places above for different N forms, so only a few additional things will be noted here. Most application methods are not new, but there have been some innovations in recent years that offer more options. One big issue 15 or 20 years ago, perhaps related to aerial imaging that showed colors patterns in corn fields, was that of uneven distribution of NH3 across the knives on toolbars. A number of engineering improvements since then have diminished, if not eliminated, this problem, and as long as older manifolds have been replaced, it’s not a major issue now. Application depth of NH3 has some influence on back-pressure and distribution, and on how safe the ammonia is from release into the air. Under normal soil conditions (not too wet), releasing NH3 5 or 6 inches deep is a safe depth, but if it’s wet, that will place it deep enough so that roots of small plants may not get access to it as soon as they should. This can be overcome to some extent by application of some of the N in more-available forms, such as 2 x 2 placement with the planter. This should be done with enough of the N (50 lb or more) to support early growth. In-furrow application of starter fertilizer or broadcasting 10 to 15 gallons of UAN 28 (30 to 45 lb of N) with herbicide helps, but unless soils are warm enough so that mineralization has kicked in by the time plants are at the 2-leaf stage (normally 20 to 25 days after planting), these applications may not provide enough N in time to maximize yield potential. While most in-season (or at-planting) applications of UAN solution have traditionally been made by shallow injection, the recent advent of near-row dribble (Y-Drop®) technology and similar equipment, in at least one case with the ability to apply both between-row injection and near-row dribble at the same time, offers a different option for placement. One advantage promoted for near-row dribble is the ability to apply N to corn of different sizes, from small plants to tassel stage or even beyond, using high-clearance equipment. This equipment has been promoted to some extent on the idea that “spoon-feeding”—applying N before and several times during the rapid growth/N uptake stages—can better match N to the crop’s needs, with less potential for loss, thereby maximizing yields. We have not found such an approach to be effective: as detailed above, we seldom (with some exceptions) find a yield advantage to keeping any of the N back for a single in-season application. And, we see no effective way to adjust N rates with later applications to end up lowering rates, thereby increasing N efficiency. We know beyond doubt that most soils are very effective as reservoirs for N, and this means that there is simply no yield advantage for breaking one or two N applications, including a major one at or soon after planting, into three or four applications. Without a yield advantage, the added application costs will lower returns. As a way to apply in-season N, however, near-row dribble has some advantages over mid-row injection. Corn’s nodal roots grow down at an angle from the lower stem where they originate, so placement closer to the row means placement at less distance down to the root system. Dribbled UAN is also shaded a little more by the row so may be less prone to volatilization under high temperatures in direct sunlight. One question has been whether a near-row (or injected) UAN application made in-season will benefit from the addition of a urease inhibitor (like Agrotain) or even of a nitrification inhibitor (like Instinct). Injected UAN should never need a urease inhibitor, and if it’s dry and expected to continue to be dry, some consideration might be given to changing from dribbled to injected UAN. Until it rains, neither dribbled nor injected N will get to the roots for uptake, but at least the injected UAN-N won’t volatilize. It might make sense to use a urease inhibitor if surface application is the only option, but that won’t eliminate the risk that if it stays dry, the N won’t get into the crop in time to maximize its use no matter how we apply it. If it’s dry by early June and is projected to stay dry (as it did in 2012), it might make sense to skip the in-season N application altogether. Dry urea can be applied across the top of emerged corn without concern for injury, although leaf edges sometimes show damage after application, especially when applied to larger plants, which catch more urea in the whorl. Some long-ago research showed that urea in the whorl didn’t decrease yield. Moderate wind tends to fold leaves over the whorl and may decrease urea capture, but of course won’t help uniformity of spread. Although urea applied to the soil surface is subject to loss by volatilization, enough rain to move the urea into the soil within a week after application will minimize losses. If it doesn’t rain, the urea may not do much good. Using Agrotain will help reduce volatilization and lower risk of loss, and might be appropriate if rain is likely to come late. Using polymer-coated urea (ESN) slows release of the urea into the soil, but in-season applications are usually made with the hope that N will get into the plants quickly, and slow-release will hinder that, and will lower effectiveness of the applied N. Polymer-coated urea can also move with surface flow of water following heavy rain, and in some cases might even leave the field. While 2019 has so far presented some challenges in terms of applying N, a period of warm weather in April can greatly improve the prospect of getting N on this year’s crop without losing yield potential. We will need to retain flexibility, though, perhaps to the extent of changing form and timing of application to ensure that the crop gets enough N in time. One drawback to that, besides the challenges in equipment and timing, may be increased N costs that result from changing N form and application equipment. It would be good to enter revised N prices into the N rate calculator to see how this changes the amount of N to use. With expected corn prices and margins not very high, this might be the year to put off trying new and less-proven products and practices, and to focus instead on the basics of getting N to the crop in adequate amounts, both by choosing moderate rates (the MRTN should be the first option for most fields) and by applying N in a way that minimizes losses and maximizes crop access to this critically important nutrient. Kleczewski says this is because tar spot likes nighttime lows in the 70's and a lot of humidity. Here's a pre-season checklist for farmers in these areas concerned about the disease, "We do know that hybrids have different tolerance to this disease. They are all susceptible but some are less susceptible than others. And if you can get information from seedsman as to the tolerance rankings, go with something that is less susceptible if it fits your production needs." Wisconsin Extension Plant Pathologist Damon Smith has a list of some corn hybrid tolerances to tar spot. That list can be found on the Badger Crop Doc website. The address is badgercropdoc.com. U.S. Trade Representative is heading to China later this week to continue trade negotiations. He stopped by NPR's Washington, D.C. studios Monday. As you'll hear he seems more optimistic than usual that a successful deal can be struck.